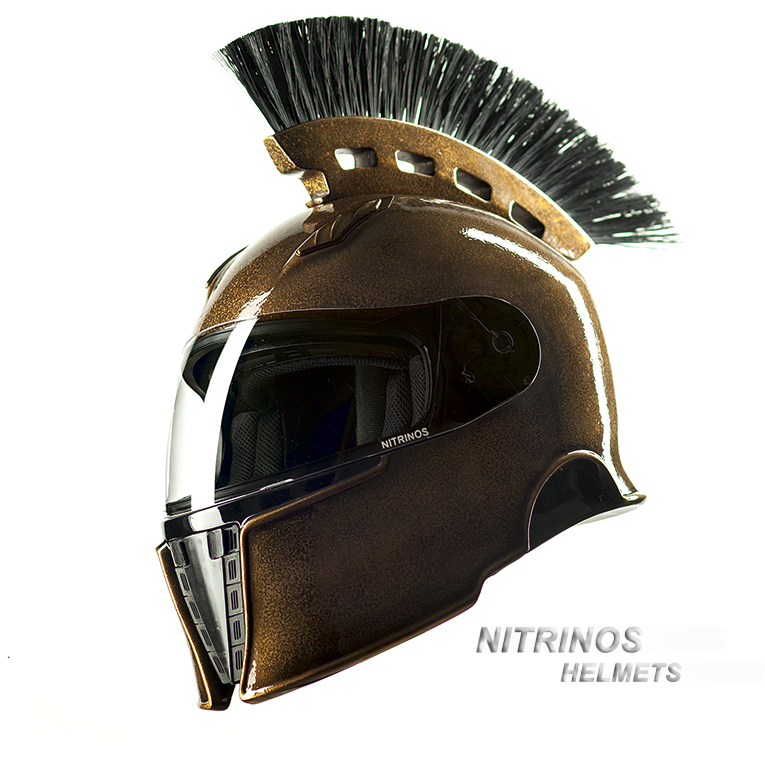 MOTOSPARTA – the exclusive helmet with such design – new development from Nitrinos. 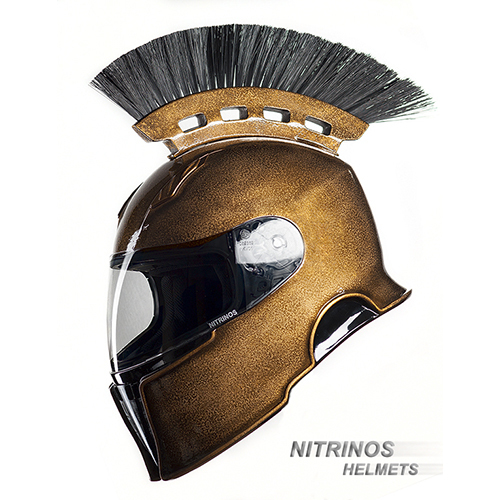 Combining the functionality of a motorcycle helmet and recognizable features of warrior equipment of the ancient, aristocratic State, motosparta (hs-15) is designed for those who choose the personality, epatage and high quality in all respects. MOTOSPARTA helmet is designed with the use of 3D technologies. 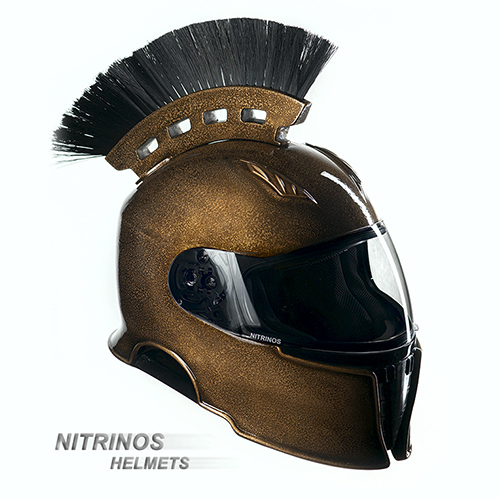 High strength of the helmet shell is provided by a composite structure with kevlar reinforcement. Four-channel, adjustable ventilation ensures air cooling for visor and driver’s head. 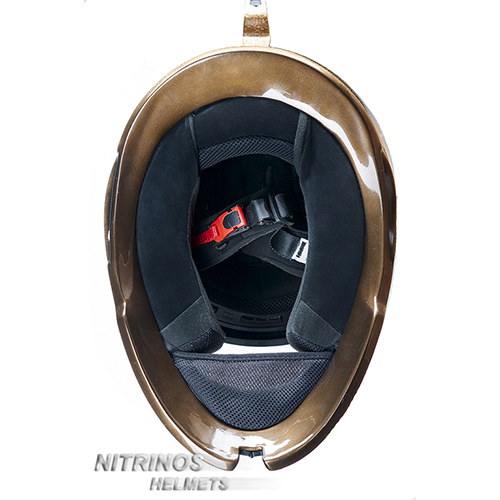 The inner part of the helmet – is quick detachable for easy maintenance and washing. The exterior of the helmet, on customers’ request, can be individual; color options include a wide palette of colors and various options on the complexity of airbrushing. A distinctive element of the MOTOSPARTA helmet is… a crest made of nylon fibers. The crest can be black or red or there can be a combination of colors. The visor in contradiction to the helmet shape has not been changed in comparison with the visors of standard motorcycle helmets. 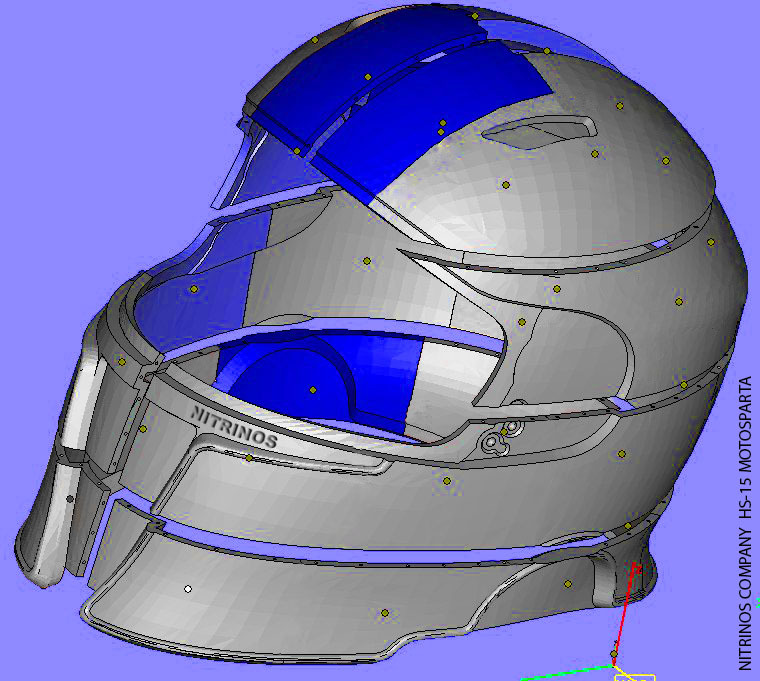 The mount allows to fix the visor in a lifted position and to implement its rapid replacement. 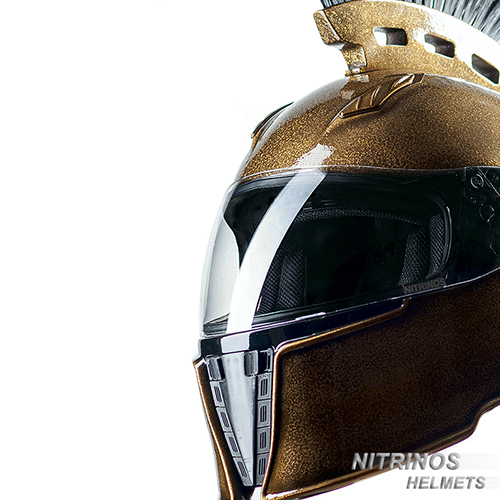 The MOTOSPARTA helmet can be equipped with light, dark or mirrored visor according to your choice. 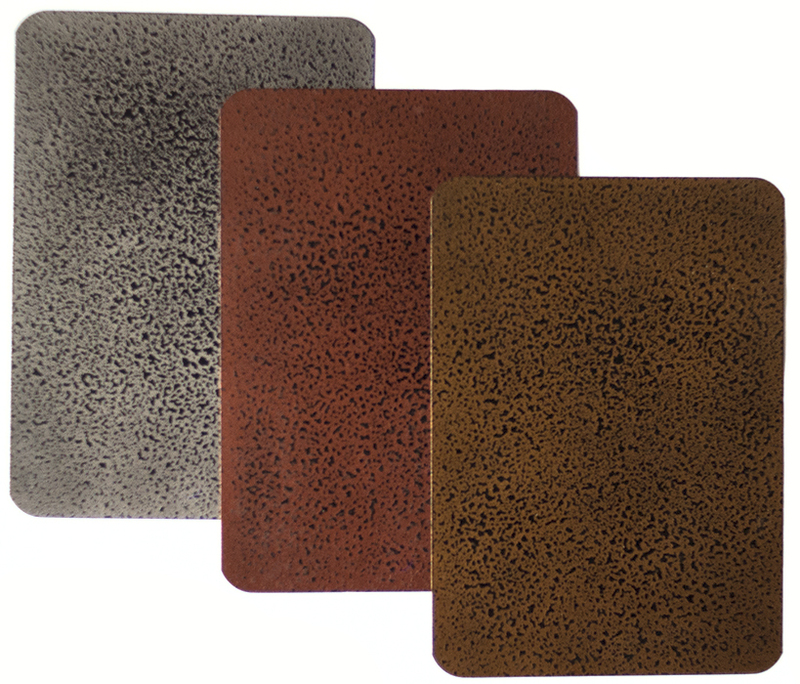 You can choose one of three unique colors for painting: silver, copper, gold. 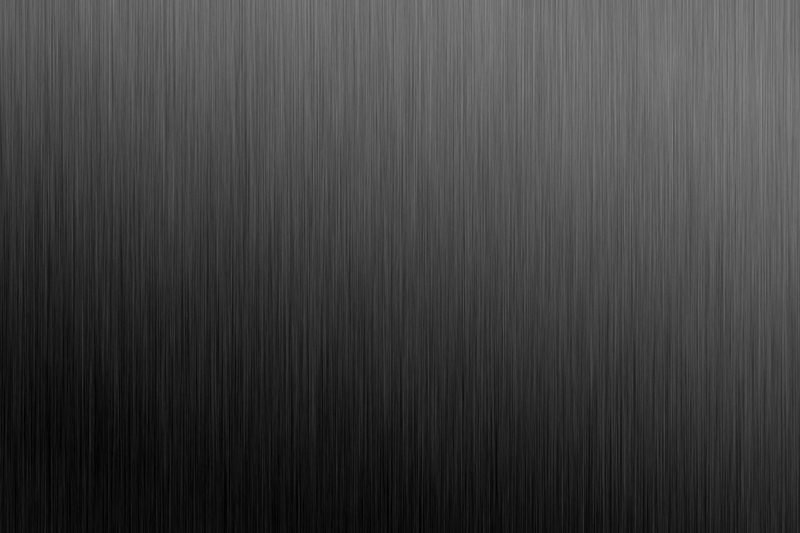 A texture of aged metal perfectly completes the Spartan helmet style. Side and front black elements on the helmet heighten the outlines. After the basic painting, our specialist put a coat of varnish on the entire helmet surface in order to give a completed appearance to the helmet. Choose a color for a comb on your helmet (red, black, combination, green). 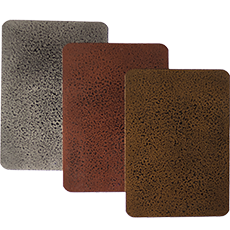 Comb bristle is made of nylon fibers in different colors, these fibers are strong enough and they keep their shape and color when riding a motorcycle. In the base configuration, the Spartan helmet is equipped with a clear visor. 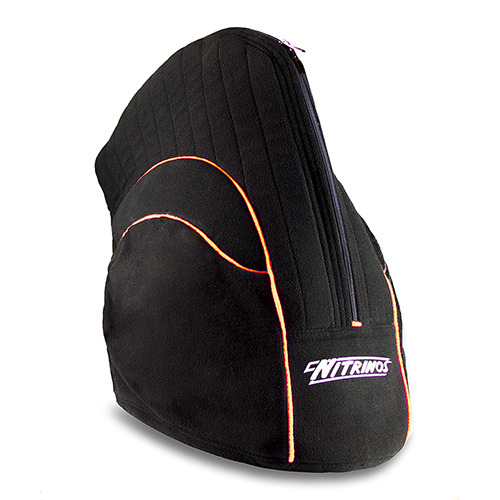 Specify in the order form – “additional”: tinted, mirrored or… iridium visor for comfortable riding in the bright sun. Also, a dark visor hide your eyes adding a special character to your style.